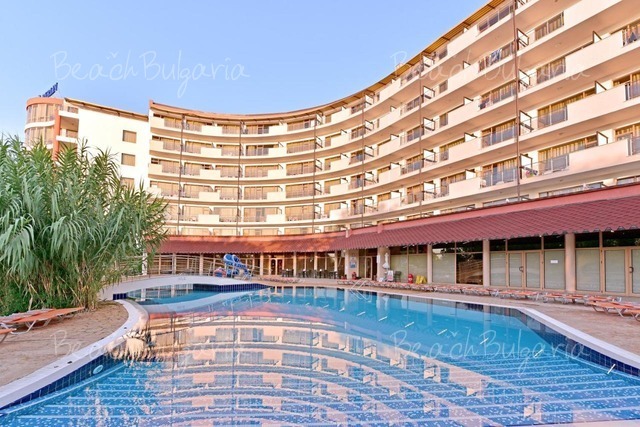 Burgas hotel is situated in the centre of Bourgas, next to Bourgas Regional administration, 100 m from the central railway station and South bus station, 4 km from the International airport. 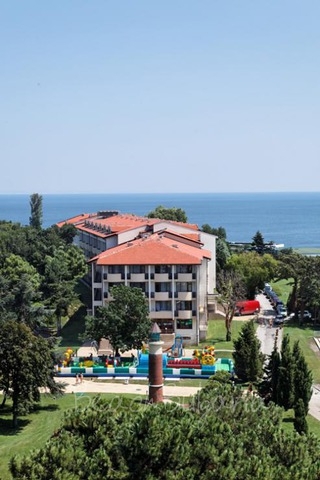 Bourgas hotel is located at 10 minutes walking distance from the beach and the sea park of Bourgas. 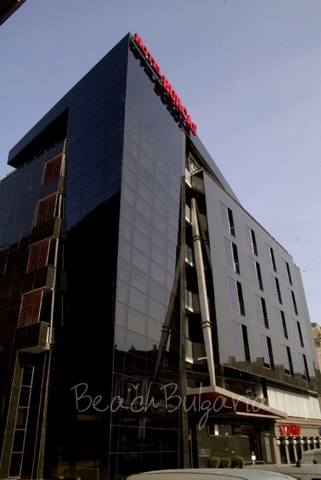 The hotel features 28 double rooms and 4 luxury suites. • The sitting area is comfortably furnished with coffee table, armchairs, writing desk, Sat-TV, mini-bar, Wi-Fi internet. • The Bathroom includes bath-tub, European soaking tub, hair-dryer, heating, telephone. • Extra Bed is available by request. • The sitting area is stylishly furnished with coffee table, armchairs, writing desk, Sat-TV, WI-Fi internet, mini-bar. • Bathroom includes shower, European soaking tub, hair-dryer, heating, telephone. • Maximum occupancy - 2 adults. • The sitting area is comfortably and stylishly furnished with armchairs, coffee table, sofa, writing desk, mini-bar, WI-Fi internet, Sat-TV. • Bathroom includes shower and bath-tub, European soaking tub, hair-dryer, heating, Thick terry bathrobes, telephone, twice daily housekeeping services. • Maximum occupancy - 2 adults and 2 children or 4 adults. The property features a French restaurant, a night club and a casino. 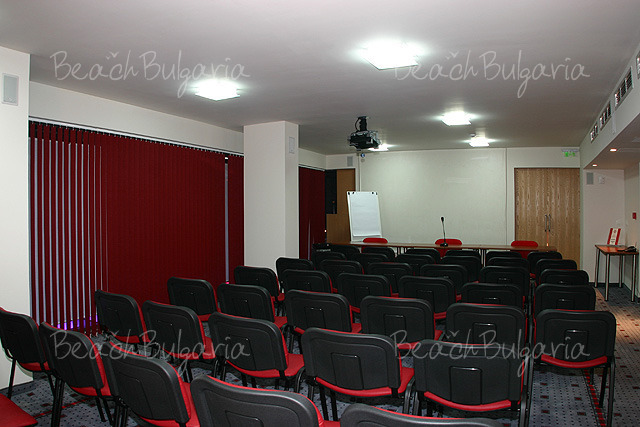 At guests' disposal is fully equipped conference room for 60 persons. * The prices are in Euro, per room/apartment, per night, breakfast on block table, parking lot, resort fee and insurance included. Free Internet connection and sattelite TV in each room. 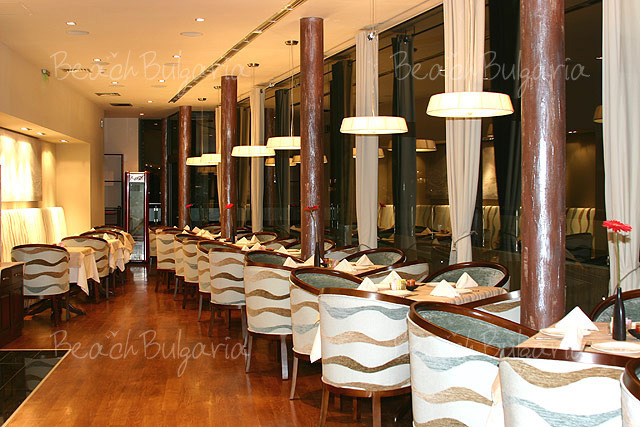 Please, post a comment on Burgas Hotel.